The Department of Homeland Security’s new Secure Communities initiative might be seen as an added layer of protection between the American people and those who would harm them. Many in Danbury, however, likely view the program with some anxiety. Secure Communities threatens to wipe out any goodwill re-established between city police and the immigrant community since that relationship was shaken in 2009, when Danbury entered into a partnership with Immigration and Customs Enforcement. To gain the trust of the people, the Danbury Police Department, ICE and now the Federal Bureau of Investigation should establish meaningful lines of public communication. That means regular — perhaps monthly — reports on the activities of both the ICE and Secure Communities programs, as well as responses to Danbury residents’ concerns about immigration law enforcement. Mayor Mark Boughton and the City Council should be responsible for insisting on such openness. Under Secure Communities, which was ongoing for two years in Fairfield County as a pilot program before being officially implemented this week, the FBI automatically shares local arrest information with ICE. The federal government says the program is not intended to round up and deport all illegal immigrants — only those whose serious criminal activities endanger the general population. But will that line be drawn? Who will police the police, the FBI and ICE to ensure that their authority in Danbury is not abused? For many immigrants, taking the government at its word isn’t easy. And the FBI and ICE are not known for their transparency. Indeed, we have witnessed ICE’s unwillingness to share, in any but general terms, information about its Danbury activities. The Danbury Police Department, with two of its detectives deputized by ICE, defers to federal authorities on such matters. 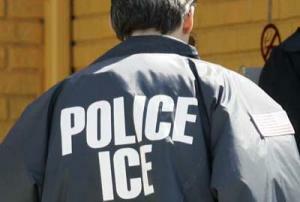 ICE, in turn, routinely refuses to release names of those arrested and other relevant details. All of this should raise eyebrows, no matter the terms of one’s residency in the city. There are times, perhaps, when some secrecy is needed in police matters — but that requirement should not extend to the establishment of secret police. This entry was posted in Press (Connecticut) on February 24, 2012 by Ian.